Peter Jones is the effervescent and enthusiastic President of Encore Tours and our parent company, ACIS. Every day, as he walks through the office greeting people, Peter can be heard singing whatever tune happens to be in his head that day. At Encore Tours, we believe that music enriches our lives every day - whether at the office or overseas on a performance tour. Peter truly lives this belief. In our first "Peter's Music Picks" video, Peter introduces himself and talks about what music means to him and how important the work of music educators is. Every other week, we will be sharing the songs that Peter is singing around the office to invite you into what a day in the Encore Tours life is like as well as to bring a little brightness to your day through music. Thanks to Peter for sitting down with us and for sharing his gifts of music and positivity. You can keep up with Peter on the ACIS Blog or on Peter's personal blog. Subscribe to the Encore Tours blog for all things music and travel as well as to receive email updates for our next Peter's Music Picks video! 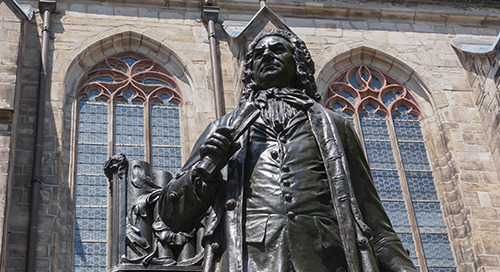 Dr. Ed Maki-Schramm reviews Encore Tours' 2017 "In the Footsteps of Bach" organ tour through Germany.